Magic Carpet Cleaning have many years of experience in the business. We are ready to help you with every carpet cleaning task you have at affordable prices. Regular carpet cleaning is very recommended, it will add years of life to your rug, and saves you both time and money for expensive recarpeting. Our professional carpet cleaning services are offered at inexpensive rates. Get the answers you need about our services, by calling Magic Carpet Cleaning now. Get advantage of our customer satisfaction guarantee or re-clean. Take advantage by using our deep steam or dry carpet cleaning services. Our carpet cleaners in Bethnal Green E2 are experienced and knowledgeable. They are certified the relevant training organisations in our industry, which guarantees you complete satisfaction from the end result. We have more than 15 child-safe and eco-friendly cleaning detergents. Our cleaning team will choose the most suitable for you and will make your carpet better than new. 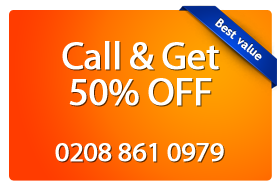 Call us on 0208 861 0979. Our customer support lines are open 24/7 and we are ready to help you with every question you have about our services. Once you have provided information about you property, you will receive a free price quote. Also you can use our on-line booking form. Whatever the need, Magic London Carpet Cleaning in Bethnal Green E2 has you covered.